Sunday, October 21st, 2018 at 9-10am. 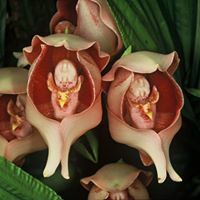 Jay Norris will demonstrate unique methods to photograph Orchids using simple, inexpensive supplies. He emphasizes that the right light and a little effort can produce great images. Often people think that lack of equipment is holding them back from taking amazing photos. Jay's goal is to make you believe that creativity is the most important tool in producing a stunning orchid. Jay Norris operates Ravenvision Orchid Supplies and Images out of Stratford, Ontario. Jay has also worked in the at Black's Photo Shops which gave him a firm understanding of all camera brands and equipment and explaining the art of photography in an easy to understand manner to the public. He is an AOS Orchid Judge at the Toronto Judging Centre and a member of the Species Identification Task Force of the American Orchid Society (AOS).